Small metal objects impacts, friction, and handling sounds. Recorded in an acoustically dry recording room. 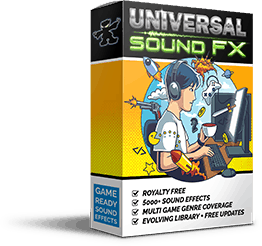 Use these sounds for sound design with, for example, pitch shift, plate reverb, and EQ to crete medieval weapons and sci-fi robotics. The high sample rate combined with the high frequencies (up to 50 kHz) captured by the Sennheiser MKH 8040 microphone makes the sounds very suitable for pitch shiting. 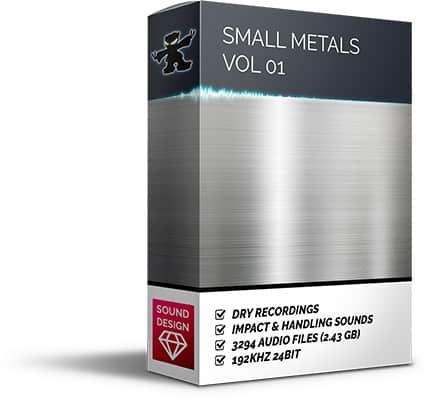 This assets contains many similar and repeated sound impacts of the same objects to provide a large selection of sounds with subtle variations for rapid repetitive use. 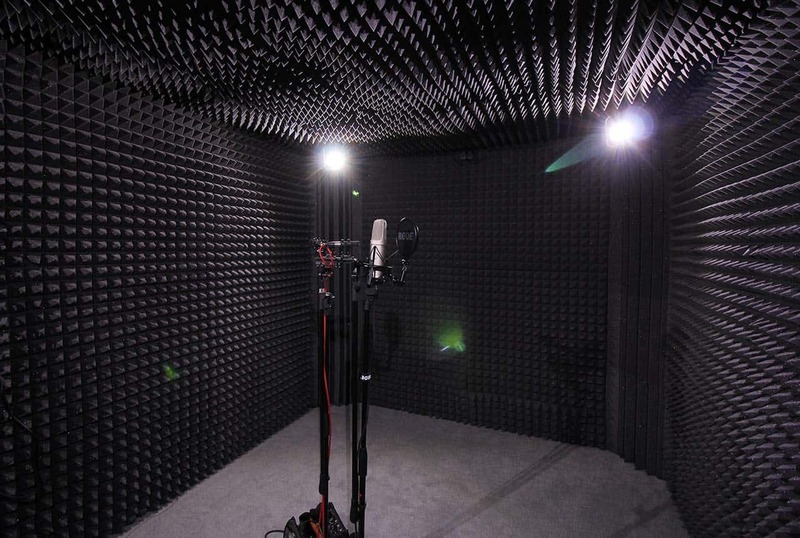 The recording room is purpose built to capture clean source audio without reverb and echo. High quality recorders, preamps, and microphones are used to capture high defenition sound. One of the microphones used, the Sennheiser MKH 8040, records frequencies up to 50 kHz. Normally anything above 20 kHz is not audible by the human ear, but the additional 30 kHz capture above the human hearing range comes very handy when sounds are pitched down. By playing back a sound recorded at 192 kHz sampling rate with a microphone capable of capturing 50 kHz frequencies at half the original rate effectively reduces the pitch by one octave. Still, the sound contains a range of frequencies up to 25 kHz (still beyond the human ear) which means that the sound is not only lowered but it still contains high frequency sounds. The sampling rate of 192 kHz is also important because when the pitch is lowered one octave the quality is equivalent of a sound recorded at 96 kHz. 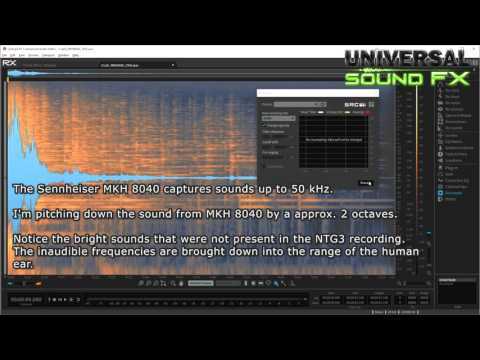 You could lower the sound another octave and still maintain quality of a sound sampled at 48 kHz.